For us, school is already over, it actually ended last week. And I know what you're thinking because I thought the same thing. Why so early? Honestly, I'm not sure. Most towns are still in school and dance is still is session. So our summer really hasn't started yet. But, the one thing I love to do when school is officially over, is have an indoor tent movie night! My girls look forward to it every year. And thanks to Walmart Family Mobile Plus plan featuring Unlimited Talk, Text, & Data which includes up to 10GB of 4G LTE data, I also get a FREE movie on VUDU (new release rental $7 value)! How awesome! And it's perfect for our end of the School year movie night. 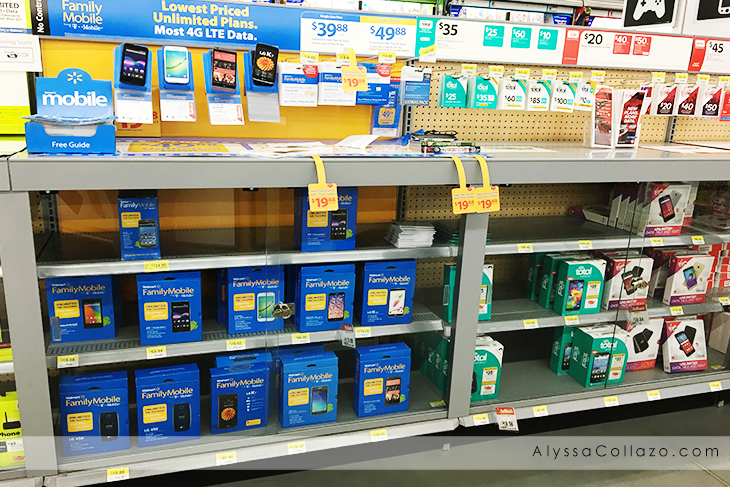 What I love most about Walmart Family Mobile Plus is how affordable it is per month, $49.88 for Unlimited Talk, Text, Data; 10GB 4G LTE plus a free movie on VUDU. That's a plan you can't beat! And I also love that everything you need is available at Walmart! Which for me is perfect since I am their about 5 times a week! ;) Plus, their phone selection is incredible, I am especially loving their LG K7 which is only $89.88! A total steal! My out of pocket was really low compared to other prepaid carriers - only $19.88 Starter Kit to get started. You get so much for your buck with Walmart Family Mobile Plus. 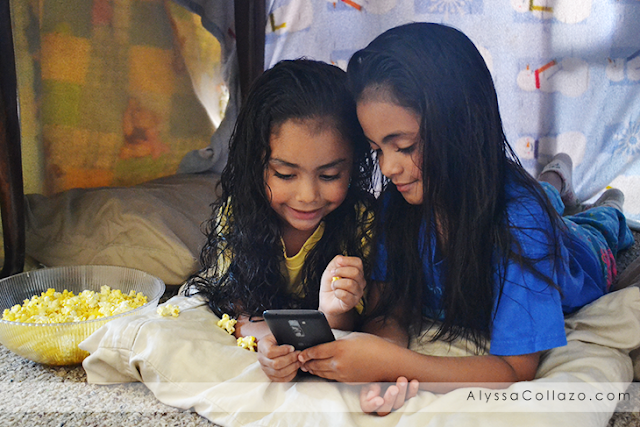 Here are my girls choosing a movie for our indoor tent movie night to stream on TV.. Grab your blankets, sheets, pillows, snacks, turn your TV on because guess what, VUDU can also be viewed from your TV and get ready for an indoor tent movie night you will never forget. Don't worry about losing service or waiting for your movie to load because with Walmart Family Mobile Plus you don't only get an amazing deal, you also get great and I mean great service. Your only concern will be making sure your tent won't fall down! I like to use my table and chairs as a base and tons and tons of blankets.. I am truly head over heels in love with Walmart Family Mobile Plus and my LG K7, it's 5.0" FWVGA color display is perfect for our end of the School year movie night and I can't wait to have more Movie Nights with my family now that I have such an awesome plan. Take my advice and be sure to check out Walmart Family Mobile Plus service and their phone selection by visiting their website or your local Walmart. You won't regret it! What a great way to celebrate the end of school. I need a new cell phone plan so I can have data, I need to check this one out. Being able to simply pick the movie you want to see is such a great ability. It really makes picking a movie so much easier. I've been seeing this deal around and it's really tempting! I think it's perfect for families who love watching movies together. I love the idea of having a movie night with a makeshift tent! That's so fun. Movie nights are one of my favorite things to do with my daughter. We always get creative when preparing for movie night. This sounds like an awesome deal from Walmart. What a great way to celebrate the end of the school year. I need to check these phones out. I don't have a cell, and need to dip my toes in the water. A great way to celebrate the end of the school year and the start of summer. I love a good movie night. Sounds like a nice deal, I think I've heard of this one from a friend who says that she has something from Boost and another one from Walmart. I might pick up a Starter Kit, I just might! Their plans truly are affordable, aren't they? I know I have a friend who's been using their plans for at least 3 years happily. What a nice way to end the school year and relax. This sounds like a great deal and is worth the look into. I have heard the plans are great and there is not a contract. Which is better in my book! Thank you for the great post! Oh, this is so nice and the deal is nice too! This is suitable for the kids that are not yet started their class at school. We love family movie nights! 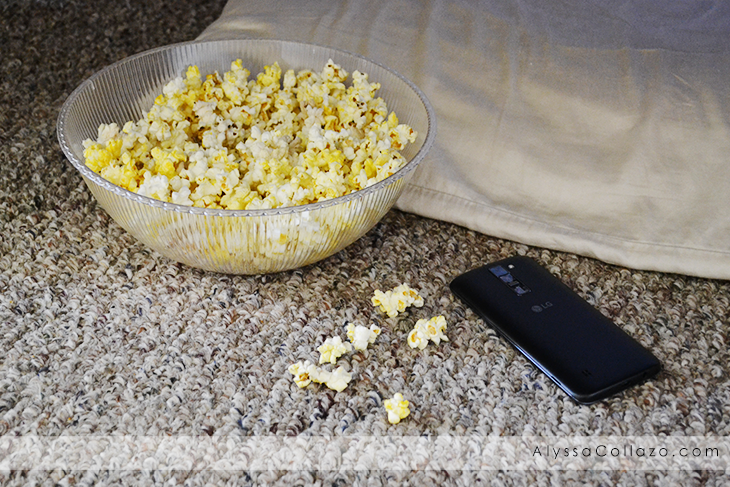 My kids love popping popcorn and cozying up under a big fluffy blanket! Movie nights are always fun! 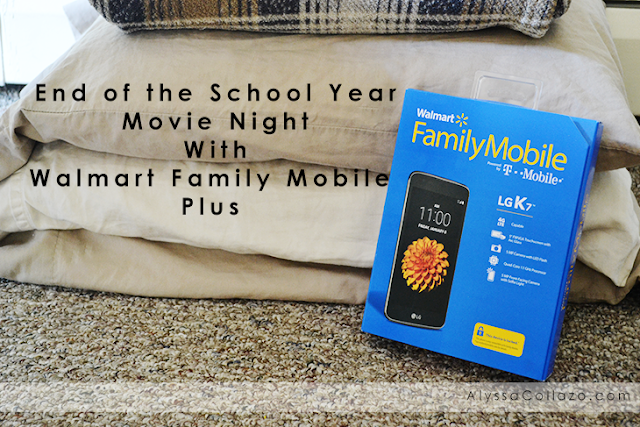 We are always looking for ways to connect as a family and movie nights help us just have fun! My family needs to have a movie night soon! I love that special time when we all sit down together for a while. I love having movie nights with my family. We always have a great time. I think it's a great way to get everyone together as well. I love movie nights too and I think this is a great deal. I can't wait to try it! We love family movie nights. I make sure we have buckets of popcorn and other snacks during weekends. A great way to celebrate the end of the school year! We love a good movie night at our house! What a great way to end the school year. It's a good thing you were able to do this with the kids.